3 Beds 2 Baths 1,750 Sq. ft.
New to Market! 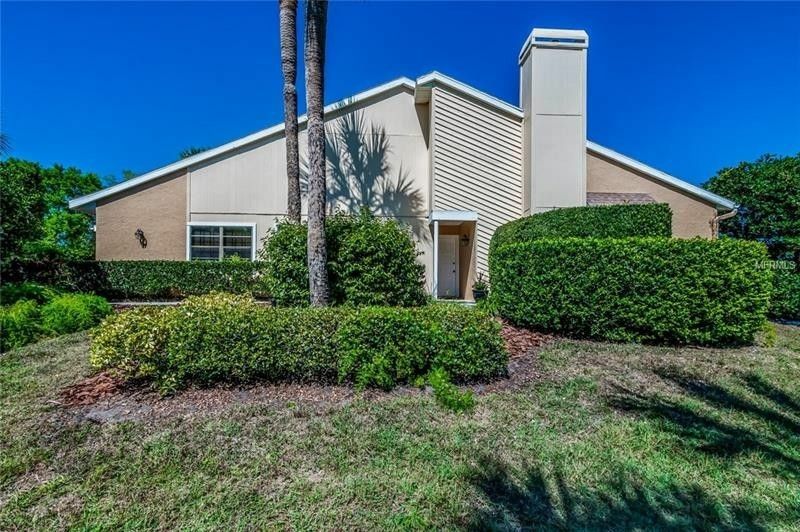 This terrific three-bedroom, two-bath corner unit villa is the perfect buy at one of Sarasota's prime locations: Within minutes to the University Corridor, fine dining and shopping, UTC Mall, recreational venue of Nathan Benderson Park, Lido, Longboat and Siesta Key Beaches within minutes of I75 and more. Well-maintained and move-in ready. Take your private walkway to access the front entry that is encompassed by garden and lake views. Open the door and be pleased to find a lovely foyer and landscaped atrium with sliding doors. Light-filled rooms abound with vaulted ceilings and tall windows. Enjoy the roomy eat-in kitchen just waiting for your personal touch with direct access to the open-air patio where you can enjoy your morning coffee overlooking the lake. Inside you will find three spacious bedrooms, two baths including a roomy master suite with vaulted ceilings and a sliding glass door to your own private patio, walk-in closets and tasteful bath. The third bedroom is currently being used as an office/den. Moments away from the community heated pool and spa with broad views of natureâ€™s play on the largest lake at Beekman Place. Villas in this section are very rare to the market so make your offer now and live the Florida dream! Directions: I -75 go West on University to Lockwood Ridge. Head south on Lockwood Ridge. Exactly 1 mile on the left, entrance to Beekman Place. Turn into neighborhood. At first Stop Sign, Turn left. Home is the corner villa with steps to the front walkway.